Sometimes I like to wear sheer clothing but I do not have the confident because it is see-through. My trick is always to wear outerwear to cover the back side giving me less insecure feeling. 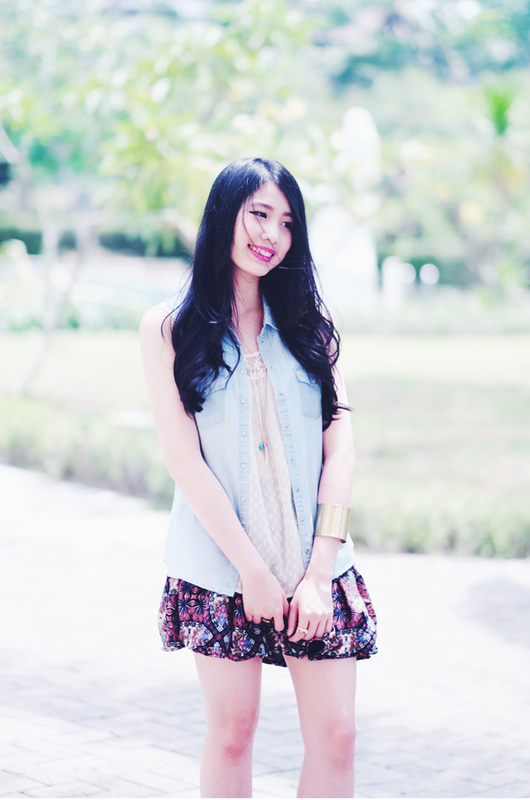 In this outfit, I'm wearing sleeveless denim shirt to cover my sheer top. However, jacket, vest, or cardigan will do the job as well. Completed my look with printed skater skirt that I worn in my previous post (here). Speaking of which, this outfit is another way to wear that skirt. the skirt and the bag are so perfect!!!!!!!!! wow such a lovely post! great job x Happy Thanksgiving! Perfect layering in this outfit! This skirt is lovely! I really love this layered look! 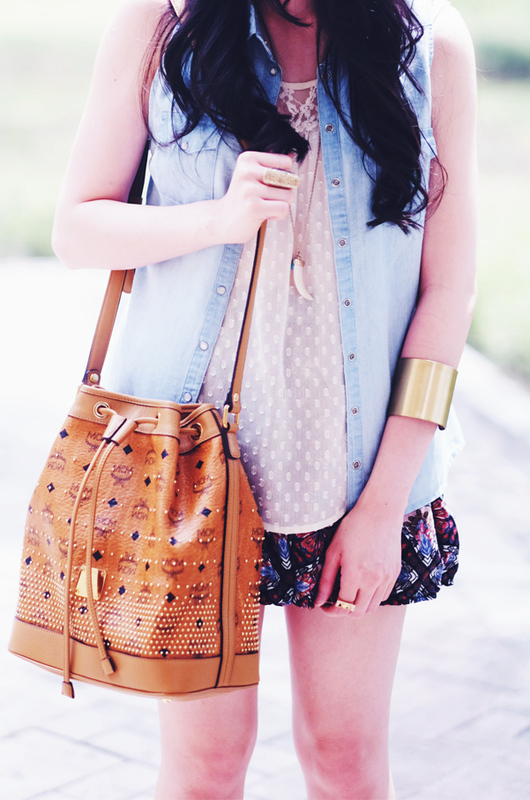 Love that top and denim shirt, and the skirt is gorgeous! I was going to follow you and I realized I already did haha. Great style!